I find trying out new recipes over summer break to be extremely difficult. There’s the “do I really want to turn on the oven on a hot day like this?” thing. And the “can’t I just sit in the lounge chair and have another glass of wine instead of cooking?” thing. And the “FOR THE [censored] 7th TIME! 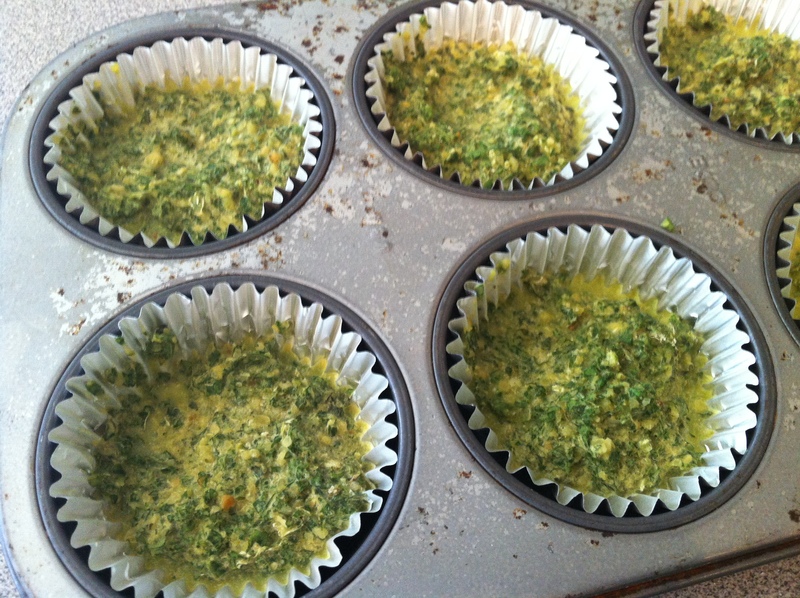 I AM JUST TRYING TO FINISH THIS [censored] RECIPE WITHOUT BEING INTERRUPTED EVERY 30 [censored] SECONDS!” thing. Maybe that is unique to my house. Straight from the Cuisinart, I thought it tasted too salty; but once it’s on pasta or a crostini — perfetto! 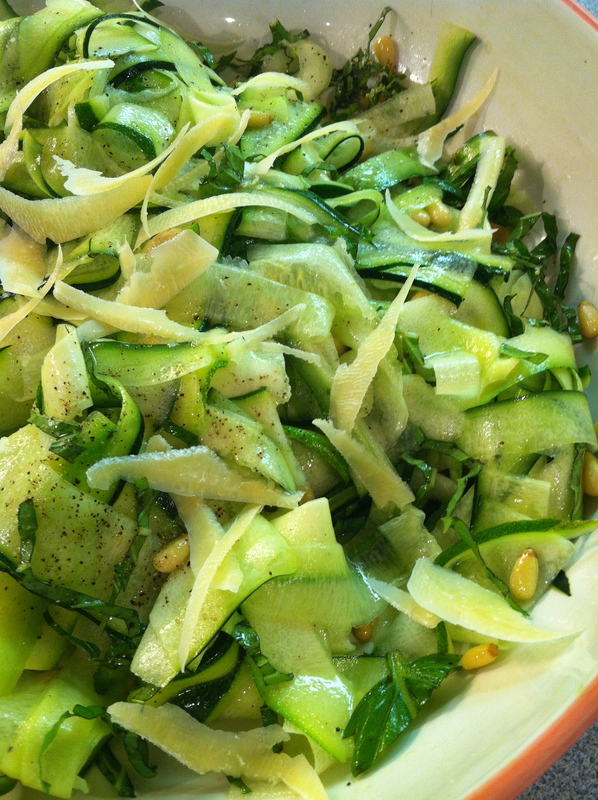 When serving, you can top it with grated parm and some grates of fresh black pepper to give it even more oomph. *Roasting garlic: I do this because, as much as I love it cooked, I can’t stand the taste of raw garlic. 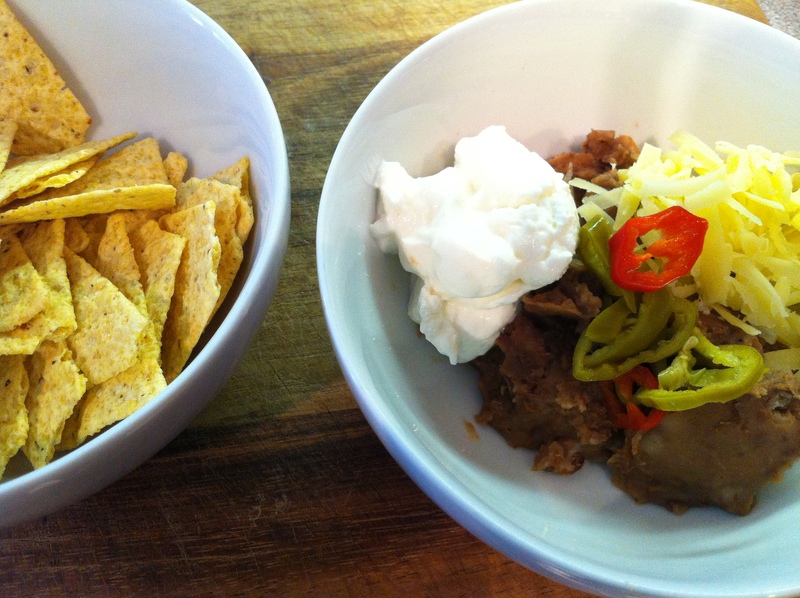 (A first pregnancy food aversion that never went away. Though I can thank my 2nd pregnancy for a love of beets that continues today. Sort of a tradeoff, I guess.) If you don’t mind raw garlic, use it. To roast it: don’t peel the cloves, wrap them in a bit of aluminum foil with a spot of olive oil, stick in a 425 oven (I use my toaster oven) for 20 mins or so. You can do a bunch of cloves (or a whole head) at once this same way, just leave it in longer. 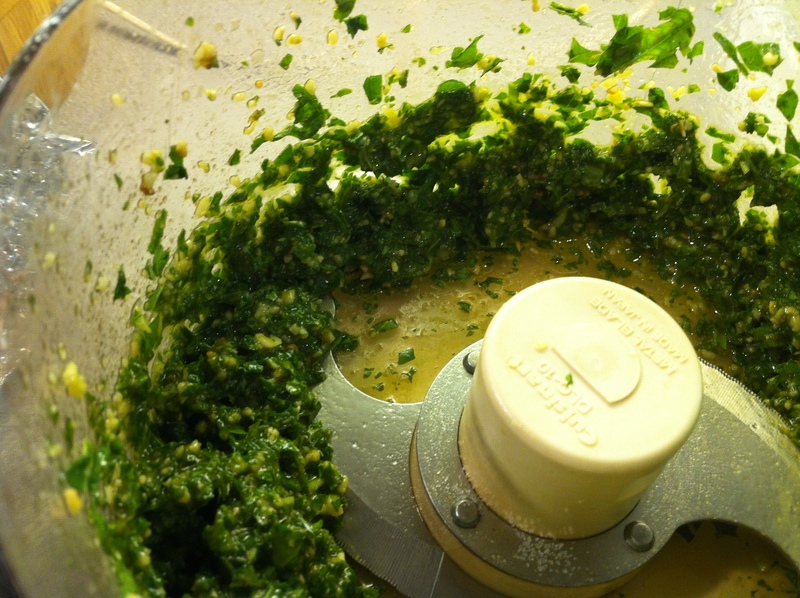 So, I had cried “uncle” to pesto making and storing years ago. 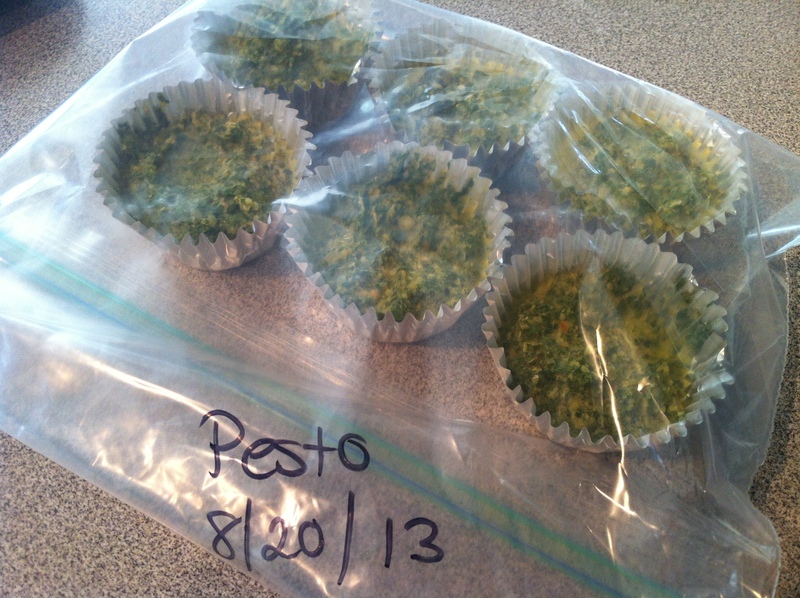 Then my not-imaginary-friend Kim mentions how she freezes pesto in muffin tins, pops them out, and stores them in a large freezer bag. And I was like “O my god, that is the most brilliant thing I’ve ever heard! Why did it never occur to me to use a larger sized container for freezing!” (Did I mention I give up easily?). Anyway. So handy and aren’t they cute. One of these servings is perfect for a family-sized bowl of whole wheat spaghetti topped with sauteed shrimp, fyi. Another recent fun find. This is easy, CHEAP, and so much yummier than canned. I got the recipe from 100daysofrealfood — the only change I would suggest is that mine didn’t need to cook for 8 hours (6 was good, and I added an extra cup of water around hour 5 because they were looking pretty dry). The Pickled Peppers recipe I thank my BFF Gwyneth for (and my BHF Bill for growing the peppers). My buddy G. says: “Makes 1 Vegenaise jar worth of pickles” We don’t tend to have empty Vegenaise jars sitting around so used a standard sized Mason canning jar. Combine everything except the peppers, bay leaf, and garlic in a saucepan and bring to a boil over high heat. 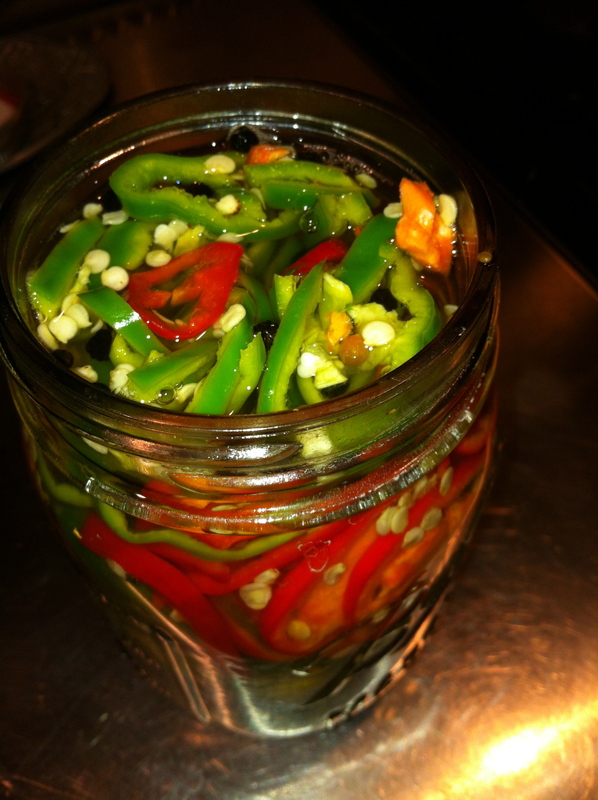 While mixture heats, pack the jar with the peppers, bay leaf, and garlic slices. Pour the vinegar mixture in to cover the peppers. Let the jar cool to room temp, tightly screw on lid and store in the fridge for one week. They keep for up to a year, claims Gwyneth. They are delish, so I doubt they’ll be around that long. 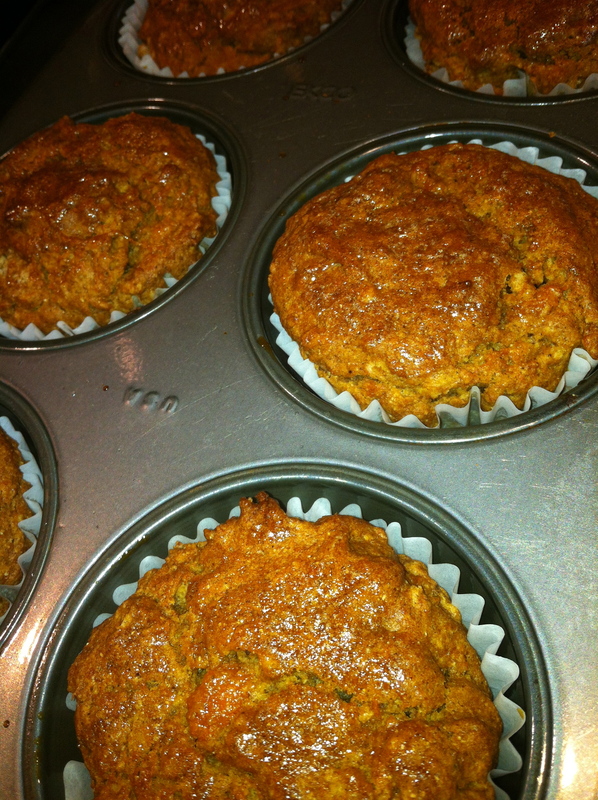 Since I know you can’t get enough of my gal-pal Gwyneth’s recipes, here’s another one that was tasty. Though next time, I’m going to try this as either a couple of small loaves or as mini-muffins. 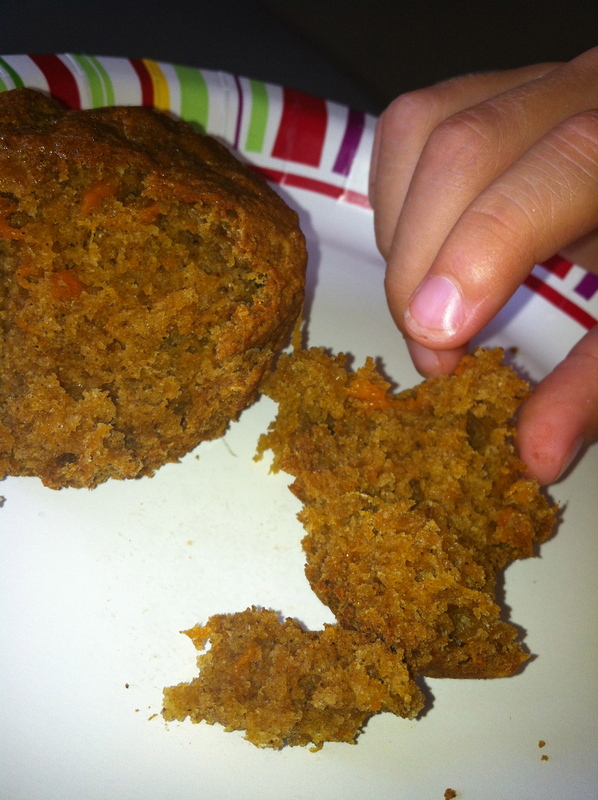 These are really filling — the boys liked them but could barely finish a whole one. These are vegan and gluten-free, by the way — not usually concerns of mine — I just thought the flavors sounded super yummy. And they were! Hey! This recipe I actually thought up on my own! Without Gwyneth’s help! 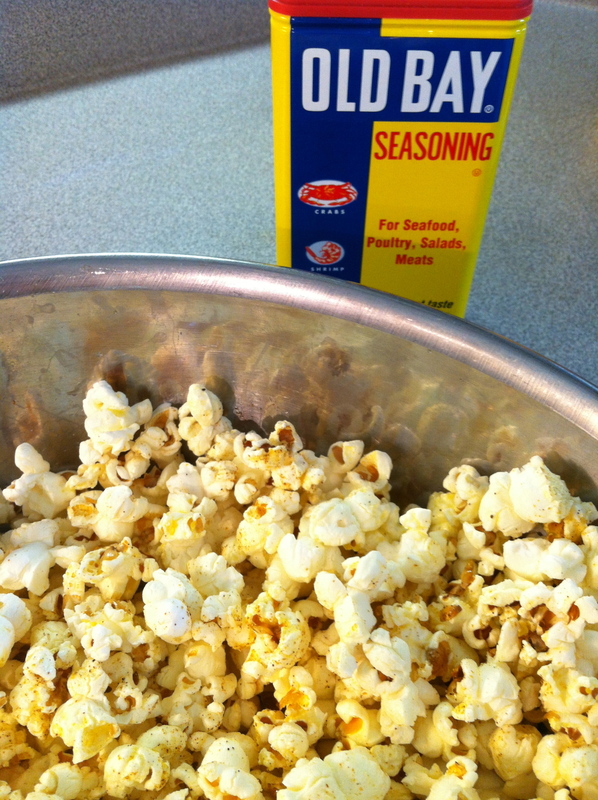 Popcorn is a great “real” snack — whole grain goodness plus butter (local, pastured preferably) and sea salt. Occasionally, we add other touches like garlic, parmesan and black pepper; or a couple of handfuls of shredded sharp cheese like aged cheddar or asiago. The other day I was inspired* to try Old Bay Seasoning sprinkled on top. To my surprise, loved it. Even the 5 y.o. said “I like it best with that brown salt on it”. * Full disclosure: once again, I guess I have to thank my friend and mentor, Gwyneth. I bought Old Bay Seasoning because I wanted to try her crispy fish fingers recipe for the kids. Meijer only sells an enormous tin of Old Bay. Which is weird because Old Bay is famously used for steaming Maryland crabs from the Chesapeake Bay. Fort Wayne is pretty far from the Chesapeake Bay. Anyway, I was trying to find room for this monstrosity in my spice cabinet and wondered “what the heck ELSE can you do with Old Bay??”. And right there on the back of the tin, it reads “Sprinkle Old Bay generously on French fries, corn on the cob, steamed veggies and even popcorn!” All righty then! Yummy new snack option. Thanks, Old Bay. Thanks [sigh] Gwyneth. I’m kinda starting to hate her…. If you ever fry chicken, Old Bay is great in the batter! Good to know! That big tin is going to be sitting in my cabinet for quite awhile unless I find some more uses for it. Thanks for the tip! Pingback: Real Life. For 5. | Real Food. Real Family. Real Midwest.